How to Find the Law Firm That Best Represents You | Law Offices of James S. Cunha, P.A. Are you someone who has encountered a legal dispute and you need to be represented? Here’s how to find the law firm that best suits you. There are over 47,000 law firms in the United States. These firms are working on the over 100 million cases that come through the court system in a single year. With so many options out there, it can be difficult to find the best Law Firm for you. What should you look for? What questions should you ask? How do you know you’re making the right choice? Start by reading this article. In it, we’re telling you everything you need to do to find the Law Firm that will help you to win your case. Ready to commit to using the services of any South Florida law firm? First, you need to make sure you know as much about the firm as possible. What type of clients do they serve? What’s the attorney’s track record? Where were they educated? What are past clients saying about them? A good law firm will have client testimonials listed on their website and throughout the web. However, if the firm does have a less-than-stellar lawyer rating, it’s not necessarily a bad thing. Remember that angry clients can sometimes attempt to take their revenge in the form of a bad review. Occasionally, an individual may have unreasonable demands or expectations. While testimonials are important to read, you shouldn’t start and stop there. Also, if your potential firm isn’t listed with a lawyer rating agency at all, don’t panic. Many firms simply choose not to take part in these rating systems, and others aren’t legally allowed to. Once you’ve found a firm that you think might be a good fit for you, it’s time to book a consultation/interview. Remember that you need to come prepared. First of all, having a list of questions ready will certainly make a good impression on your lawyer. Additionally, it will prevent them from giving you a “hard sell” the entire consultation. Remember that, while legal cases are often extremely personal in nature, that your legal professional is on your side. Be honest with your lawyer. Don’t be afraid to bring up any questions you want to ask. Trust us when we tell you, your lawyer has probably heard something even crazier. ‘My Cousin Vinny’ may be a great movie, but at the end of the day, you don’t want someone like Joe Pesci’s character representing you in court. Experience isn’t just important when it comes to winning cases. It will also make a difference in things like court demeanor/professionalism. It can also impact how your lawyer interacts with you. Sometimes, family court proceedings can and will get emotional. You want a lawyer who is experienced in dealing with clients that are dealing with a situation that’s extremely personally challenging. 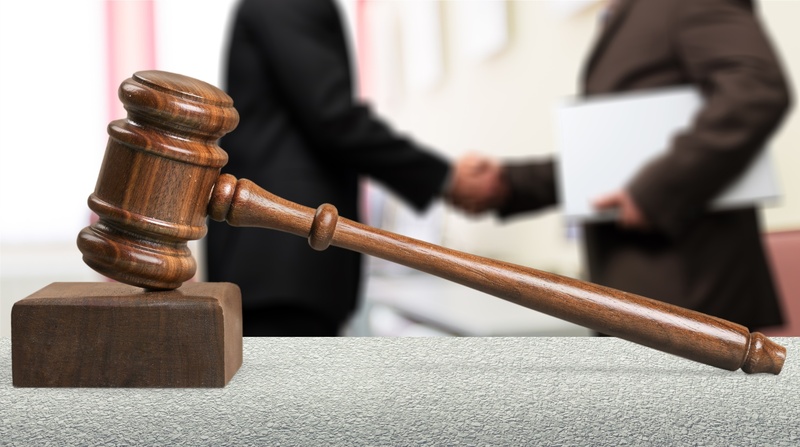 Finally, make sure that your legal representation has the relevant experience. Even if someone has been in practice for 25 years, that doesn’t mean that they’d had the necessary experience in dealing with your kind of case. A good law firm will have lots of resources available to them. That goes even if they’re a smaller firm. When we say “resources,” we mean both intellectual and financial. Finally, remember that the relationship between lawyer and client matters. This is especially true if you’re dealing with divorce cases, is extremely important. If during the in-person consultation, you realize that something just doesn’t feel “right” to you, don’t worry. It’s time to go with someone else. You should feel secure in your choice of legal representation. If you have any nagging doubts, feel uncomfortable, or just didn’t “click” with a lawyer, it could show in the outcome of your case. Looking For The Top Law Firm In Florida? Are you one of the over 800,000 people that are getting a divorce this year? We know the process can be stressful, expensive, and not to mention emotional. Especially if there are children involved, you’ll want to have the services of a competitive law firm in South Florida on your side. The process can feel incredibly overwhelming. Especially if your friends and family seem to have turned against you, you’re going to need someone who’s on your side. We combine a proven track record of success in divorce and family law with personal attention and care. Do you need representation now? Are just looking for legal representation to keep on retainer? Don’t fight to protect your property, your assets, and your children alone. Call us today.